Skip bail – go to jail! There are many people who make mistakes and are charged with a criminal offense. In most cases, these people will face a bond hearing. A judge will determine how much money a court requires for them to be set free until their trial. 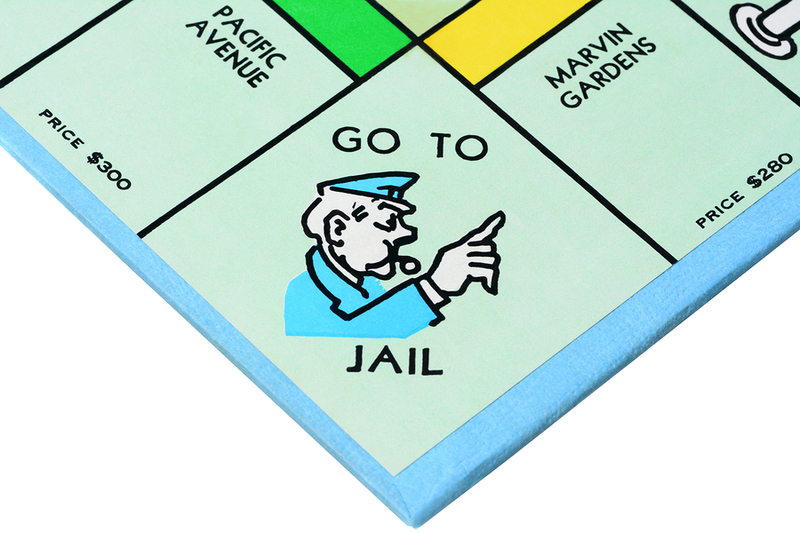 Most people can’t afford a significant bail amount. It’s possible for bail bondsmen to provide the money for a percentage of the bail amount. A person is then free to work with their attorney to develop a defense for their court case. When a person shows up for their trial, the bail bondsmen gets back their money from the court and moves on to help the next person. When someone skips bail in Tulsa, things can go badly for them. Skipping Bail ALWAYS Equal Jail! Should a criminal defendant miss court, the court will send a notice to the bail bond agency informing them the criminal defendant has failed to appear in court. This means the bail provided by the bail bond agency is now in default. A court often gives the bail bond agency a certain period of time to find the defendant. The bail agent will get a new court date in Tulsa. A bench warrant will be issued for the arrest of the criminal defendant. Sometime missing court does not equal skipping bail. When good cause is shown for the defendant to have missed, an attorney or bondsman may be able to persuade the court to recall the warrant and reset the court date. Otherwise, the clock starts and an arrest in eminent. According to Title 59 Oklahoma Statutes Section 1335, skipping bail in the state of Oklahoma is a felony offense. A criminal defendant who skips bail in Tulsa could get up to two years in prison as well as a fine of up to $5,000. Should a person surrender within thirty days from the day they miss court, they may not be prosecuted and simply get a new court date in Tulsa. This is a crime database linked in with local, state, federal and even tribal offices. It’s possible for a bail bondsman in Oklahoma to use the NCIC to put a hold on a criminal defendant. In this case, the bail bondsman may offer to pay for costs connected with returning the criminal defendant to a particular jurisdiction. In Oklahoma, bail bondsmen experience many things during their career. They develop a lot of valuable knowledge. It’s possible for bail bondsmen to network with one another and get information about where a criminal defendant could be going. An experienced bail bondsman will know the behaviors of different types of criminal defendants and more. Those appearing in court are presumed INNOCENT. Those who run are quickly presumed GUILTY and are certainly guilty of “bail jumping” which is a felony in the state of Oklahoma. When the bail bondsmen locates the criminal defendant, they will turn them into law enforcement. The court will then be notified the criminal defendant has been returned. At this time the bail money should be taken out of default. If law enforcement arrests the criminal defendant on the bench warrant, the bail bondsmen can also request their bail be taken out of default once the court is notified.